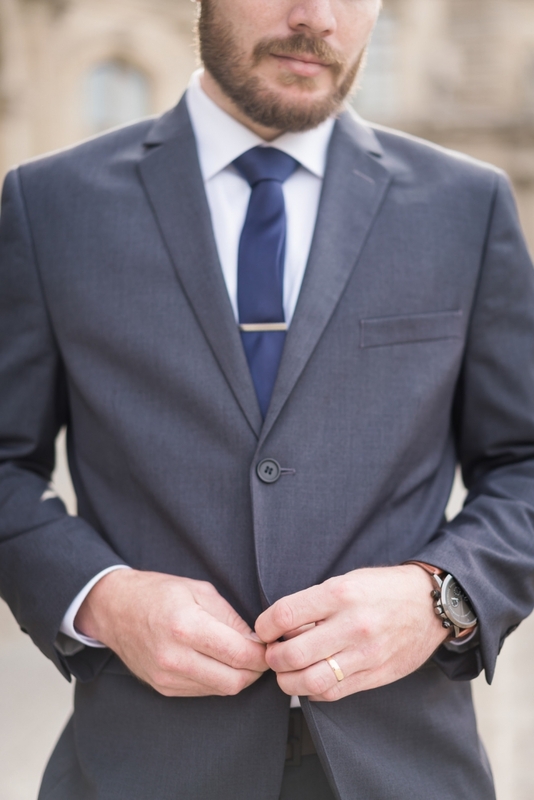 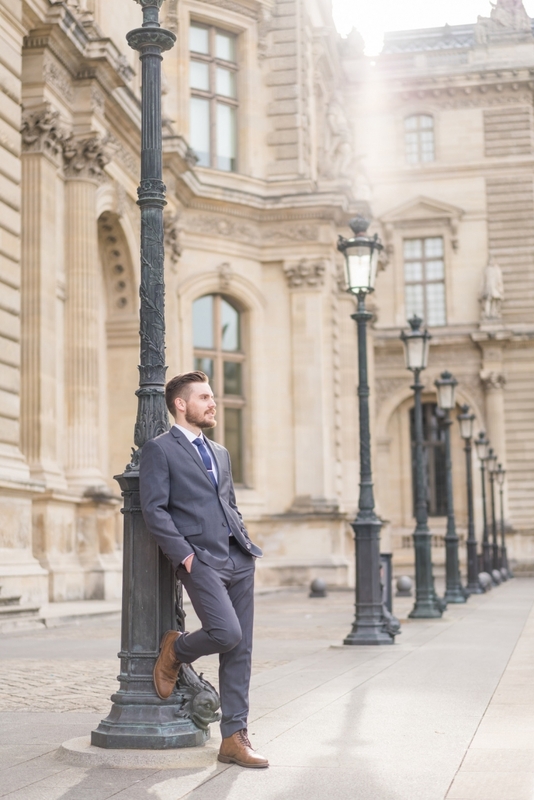 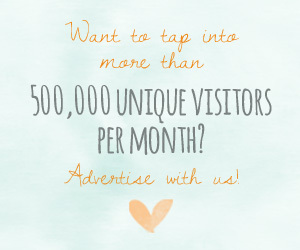 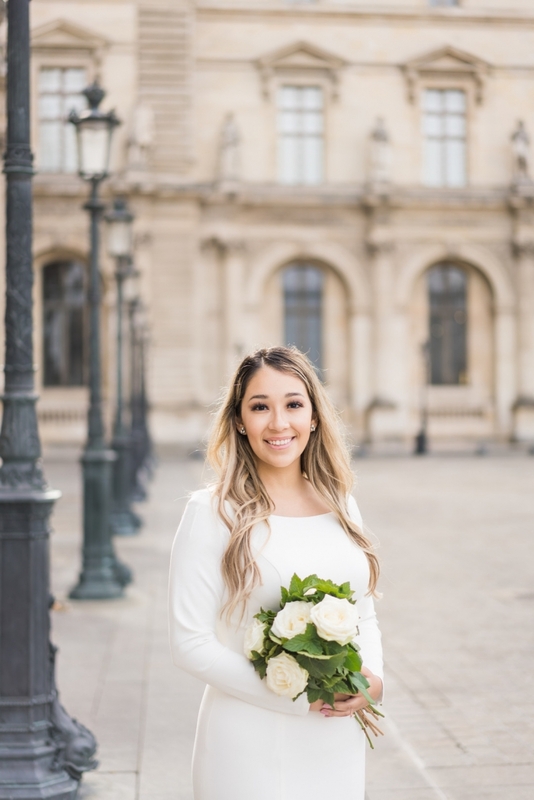 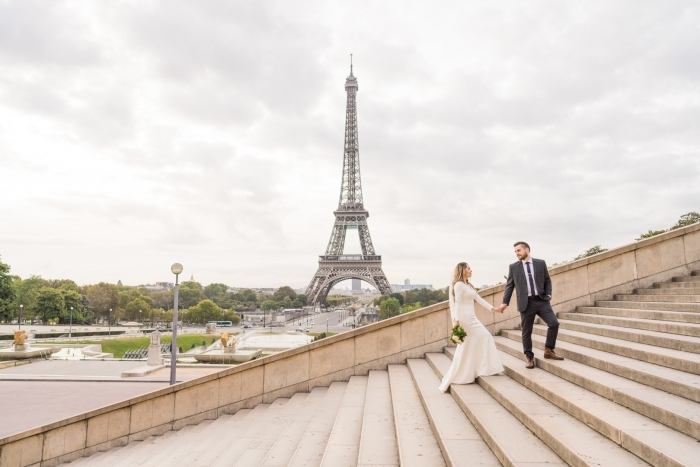 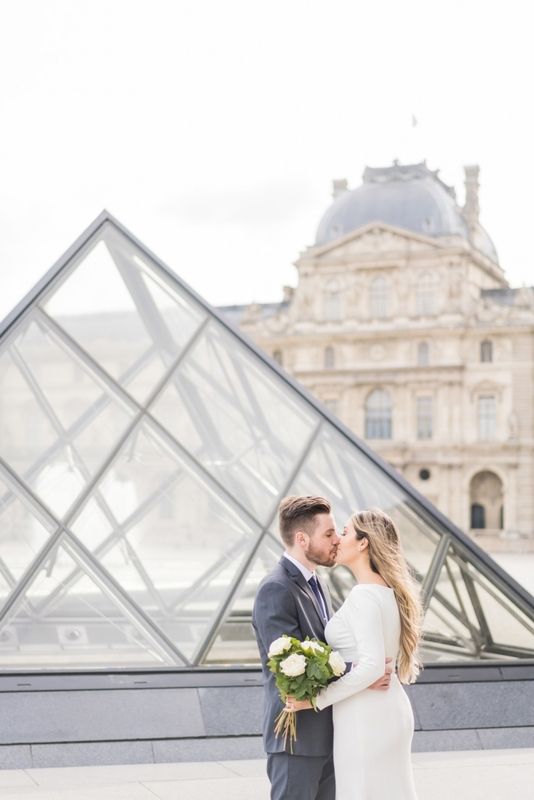 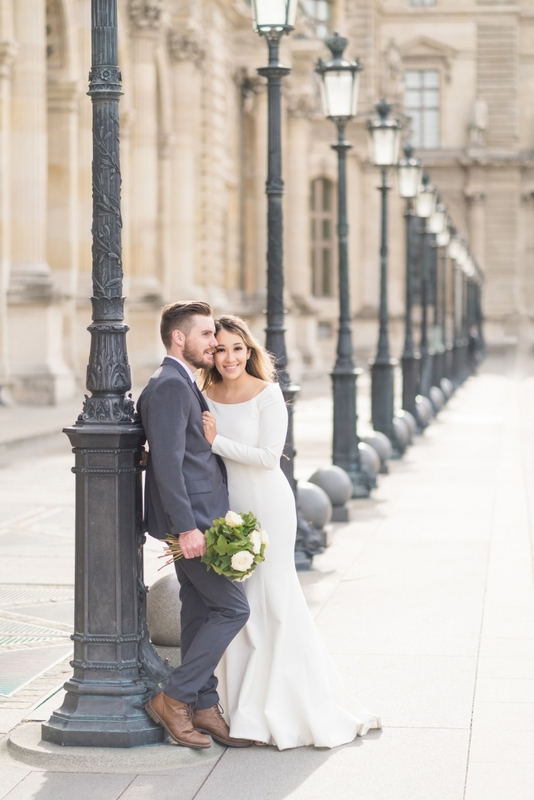 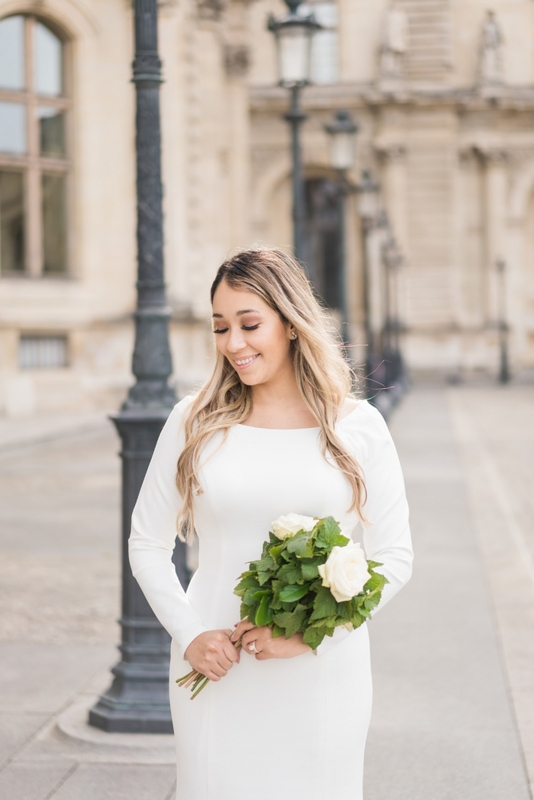 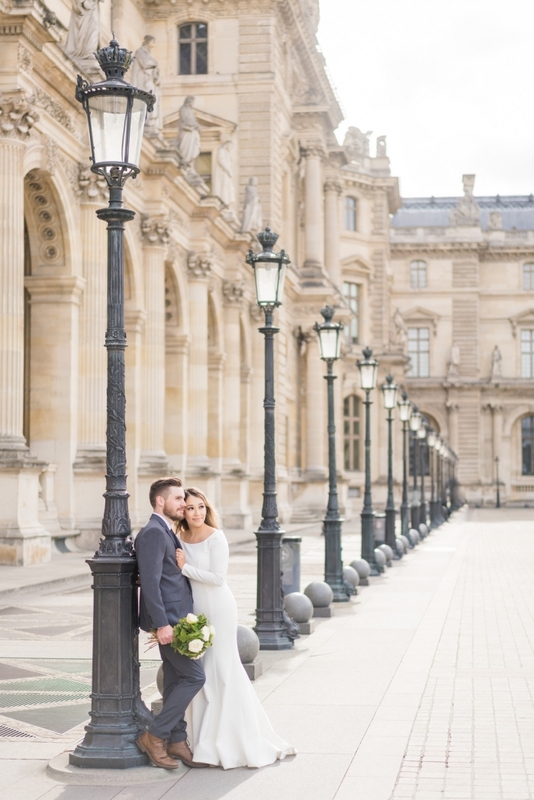 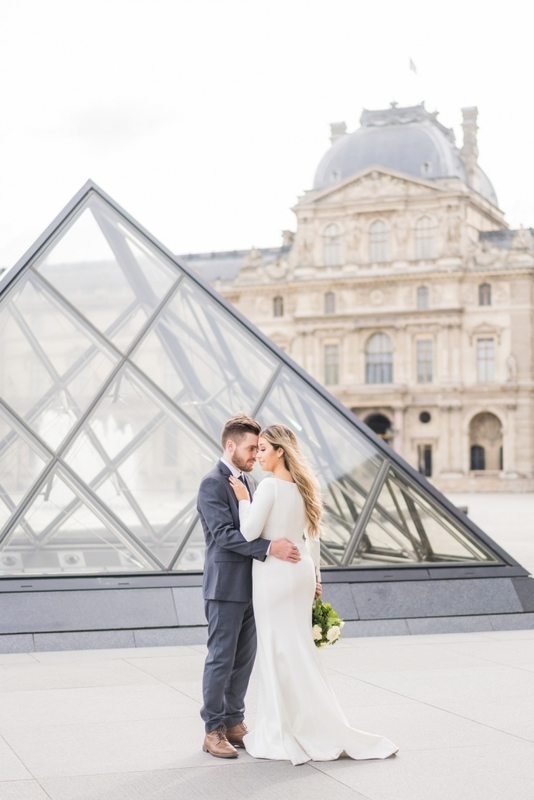 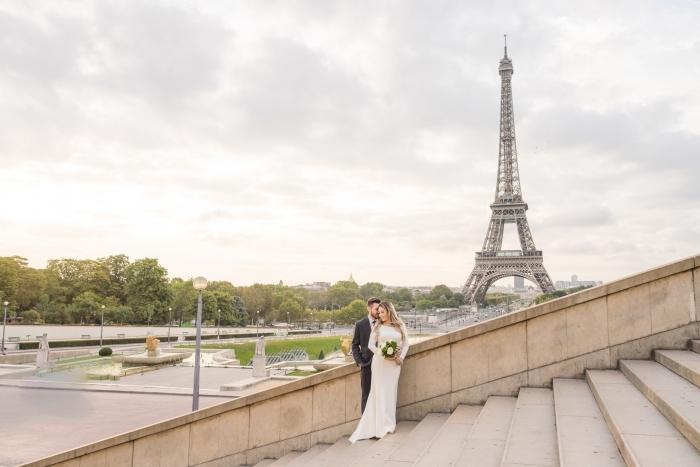 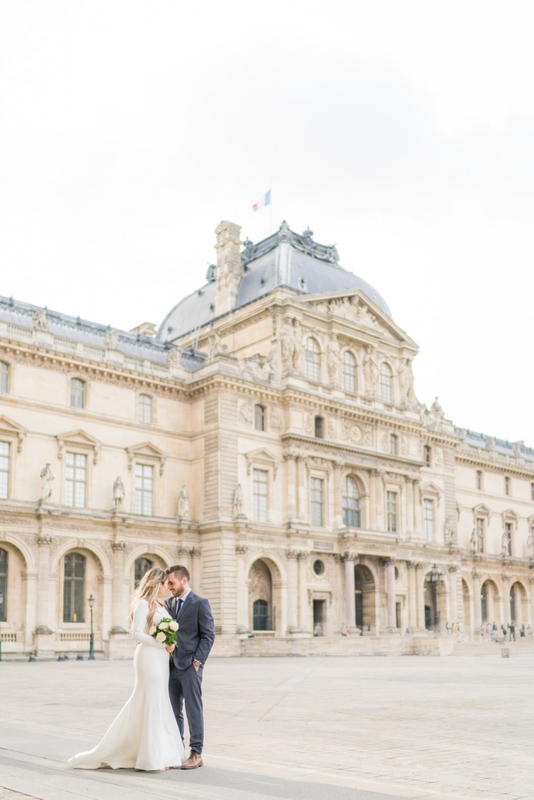 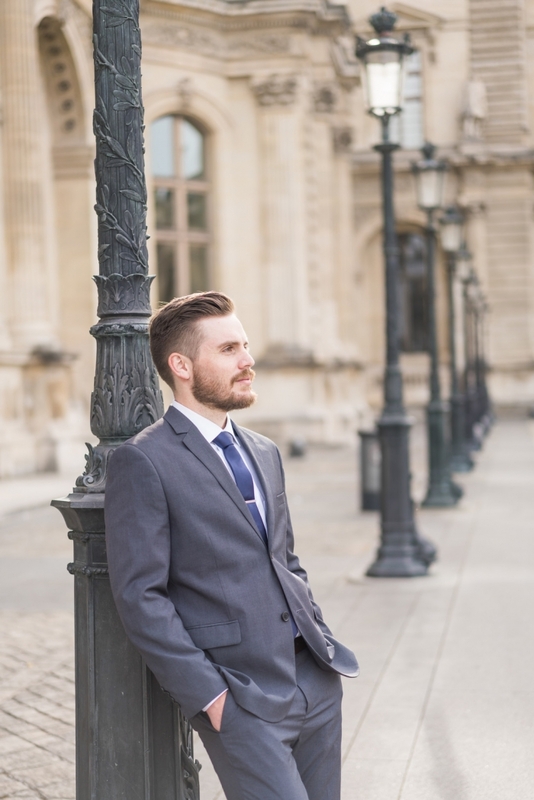 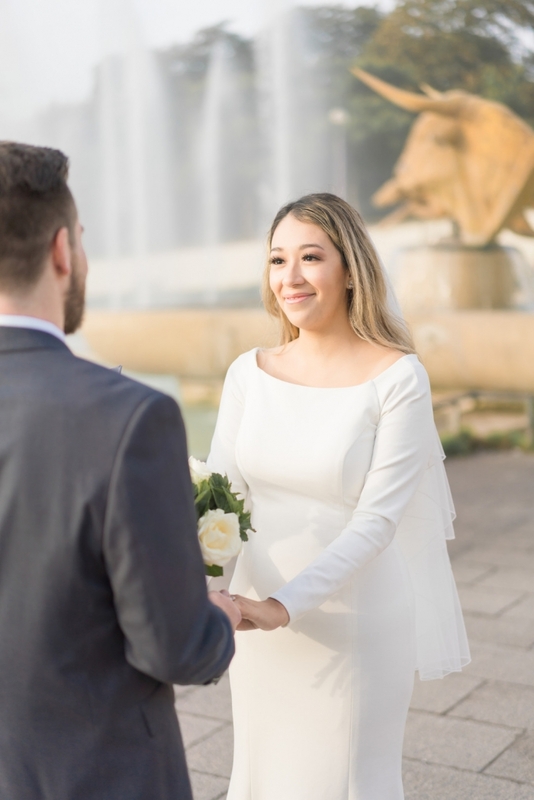 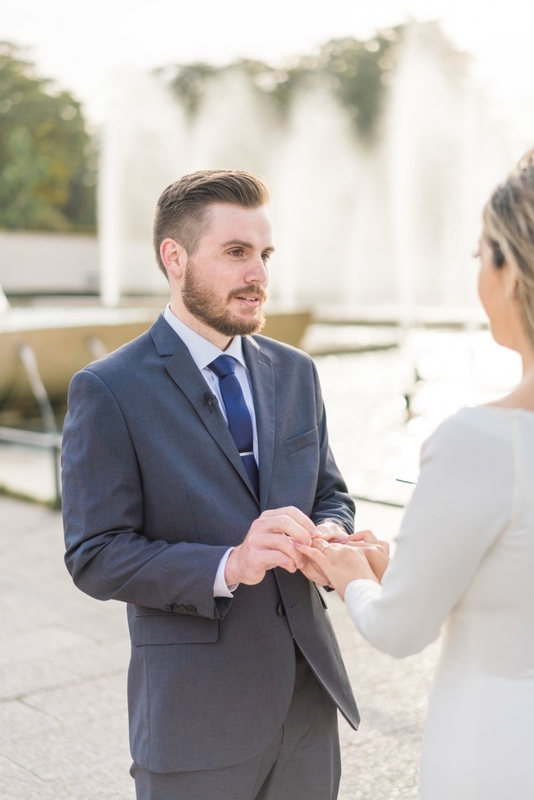 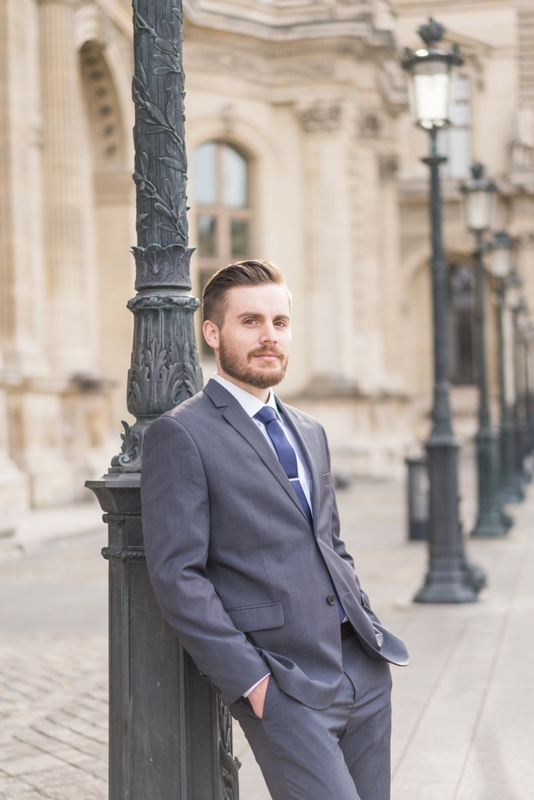 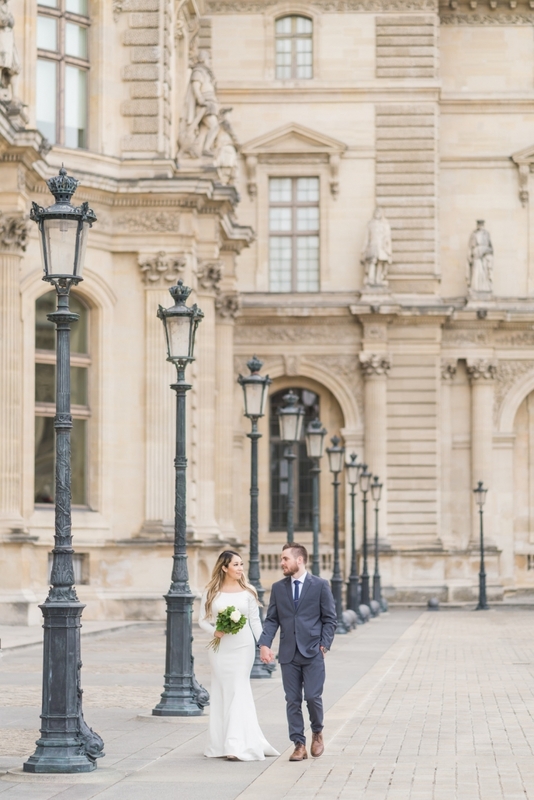 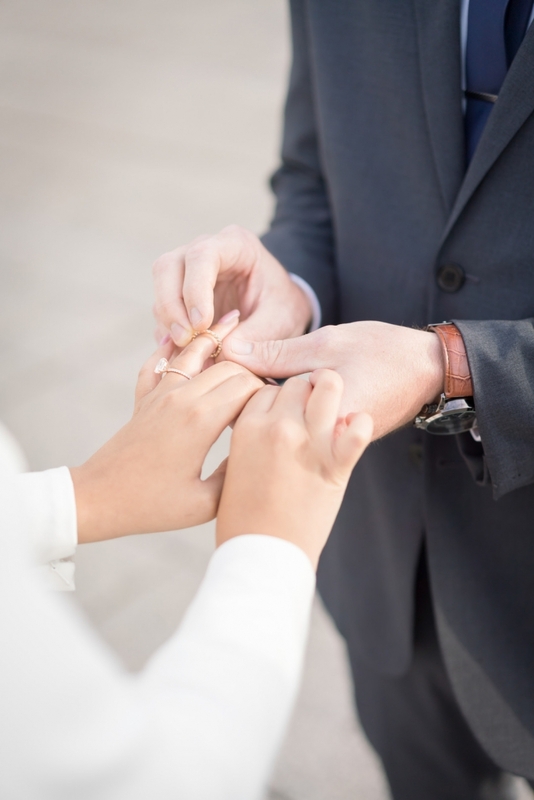 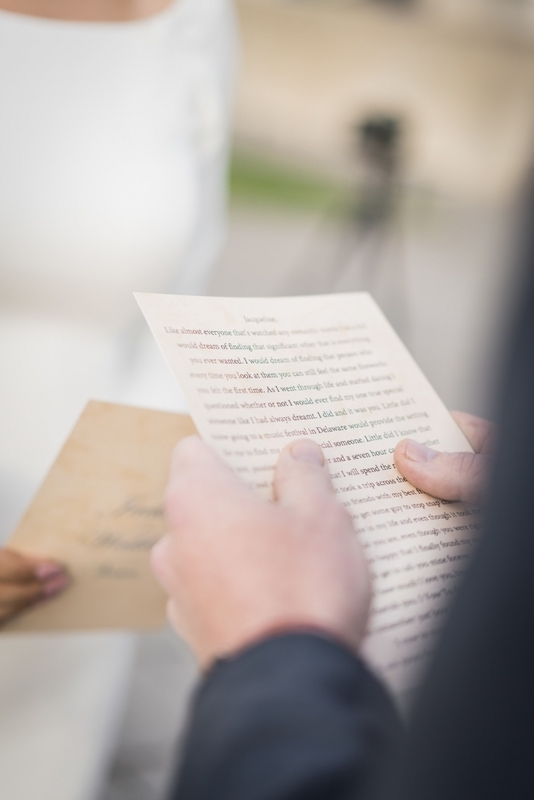 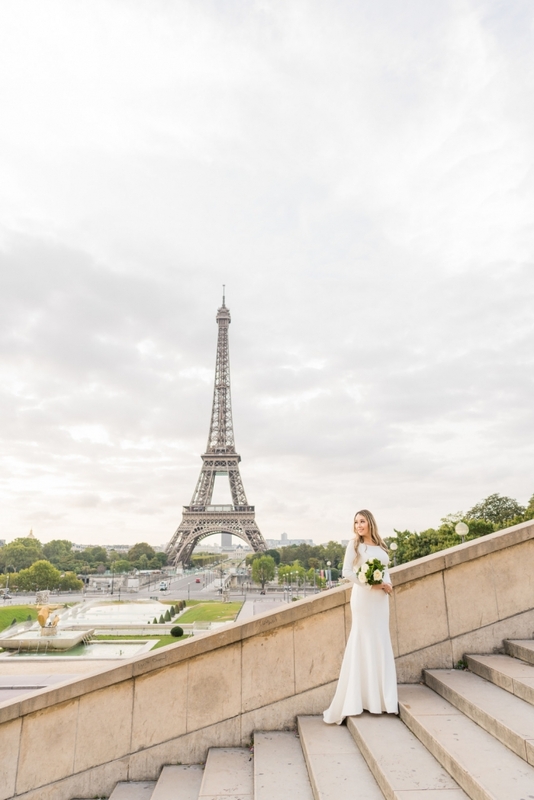 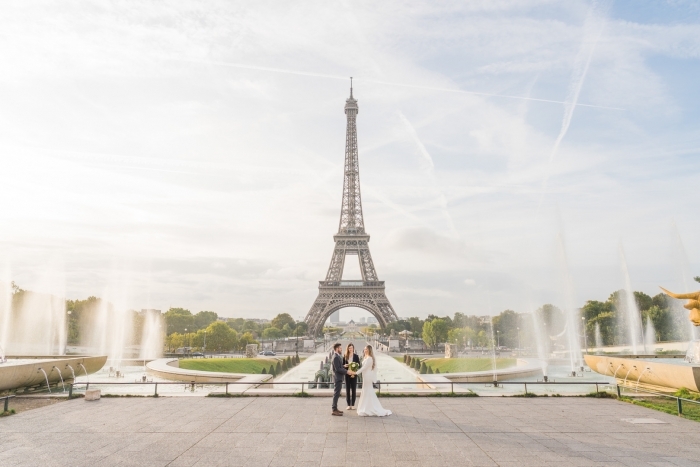 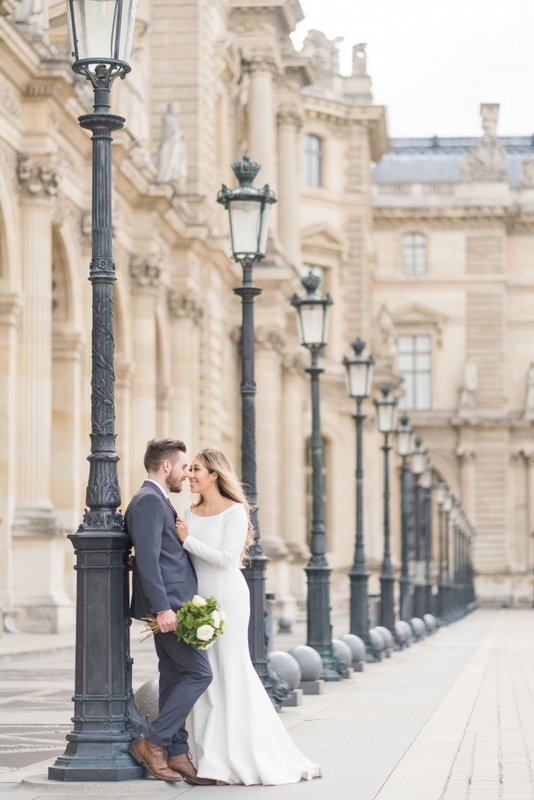 Today’s elopement will have you saying ‘Oui Oui’ to a Paris wedding! 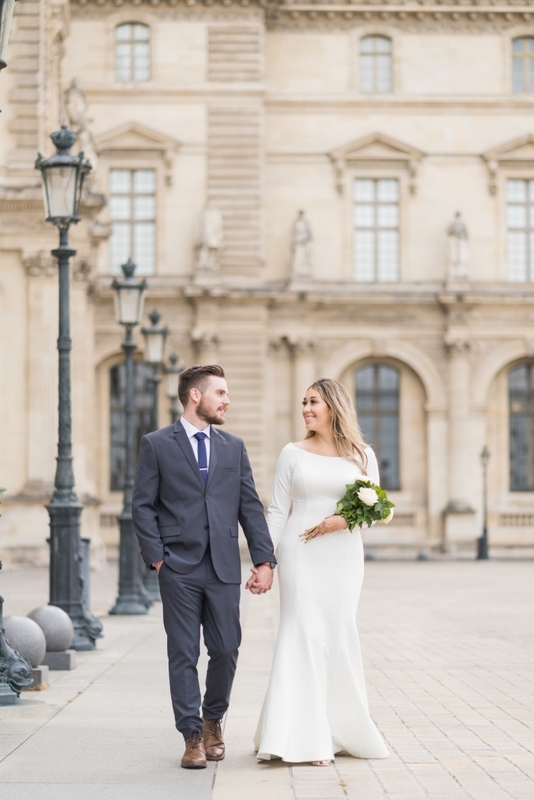 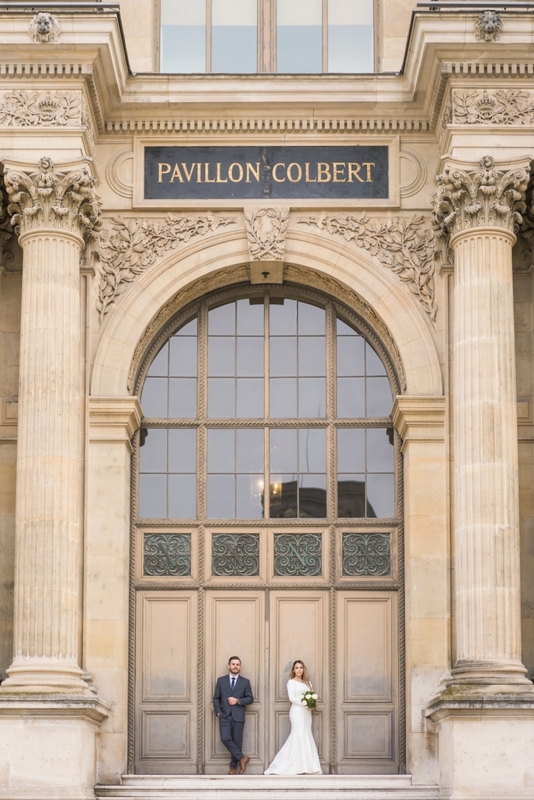 Jacqueline & Mike wanted to avoid the stress that comes with a large wedding, so they opted for a Paris elopement. 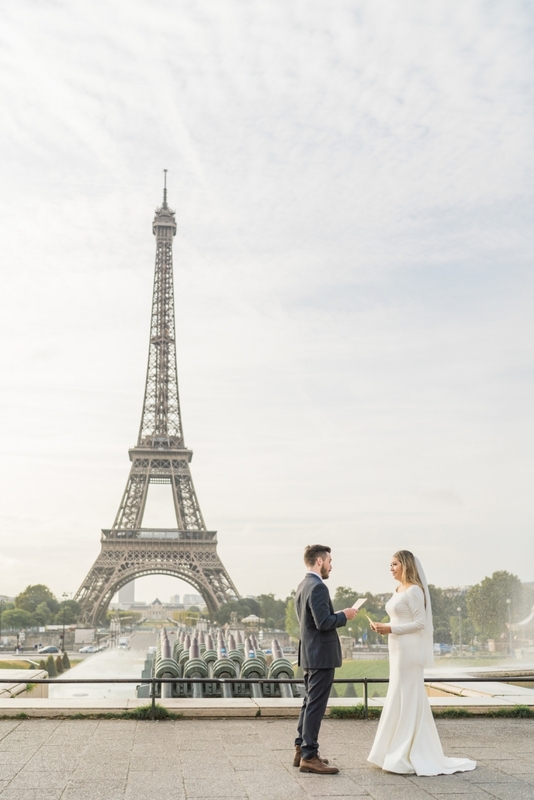 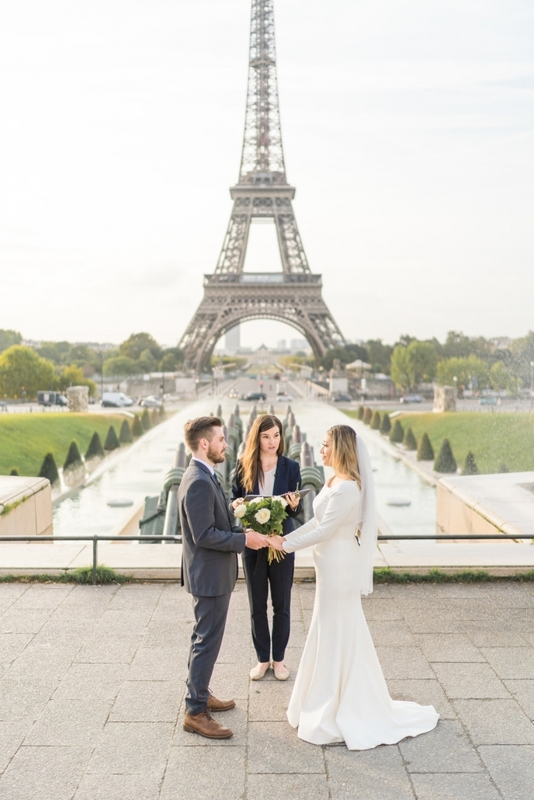 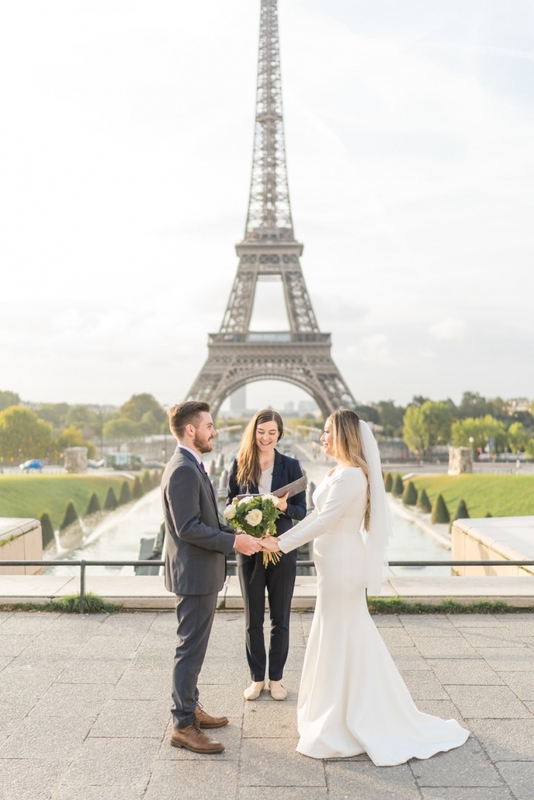 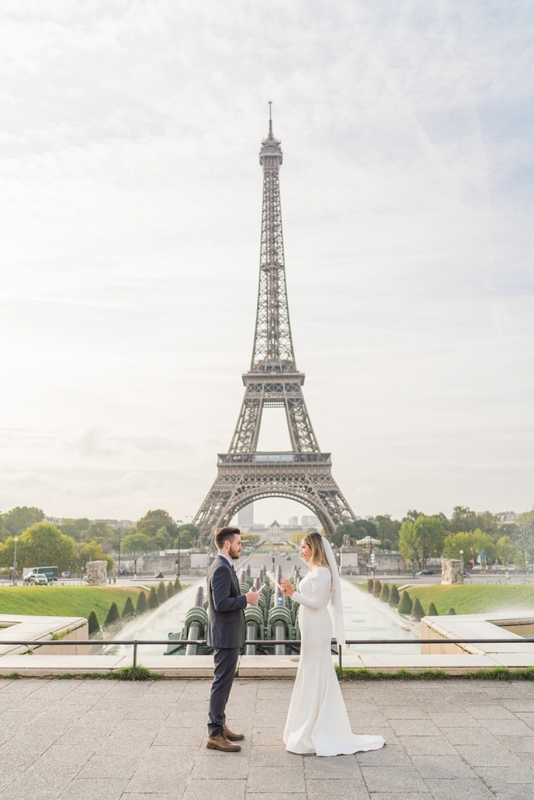 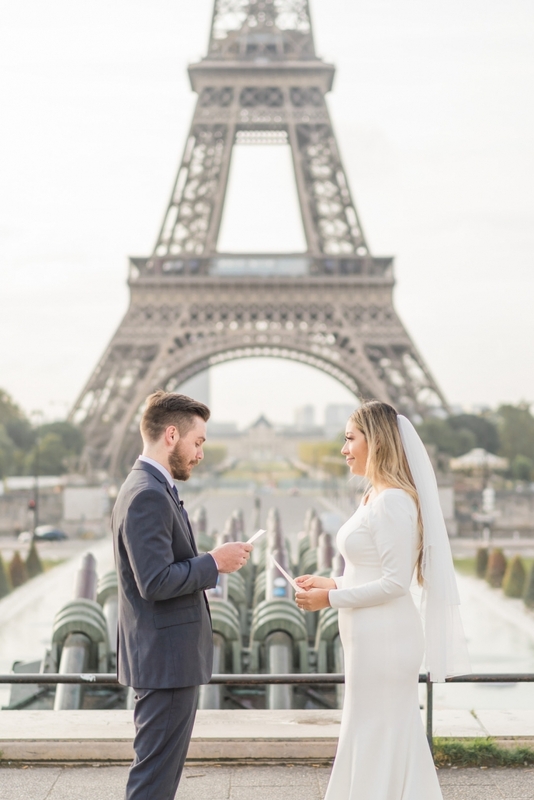 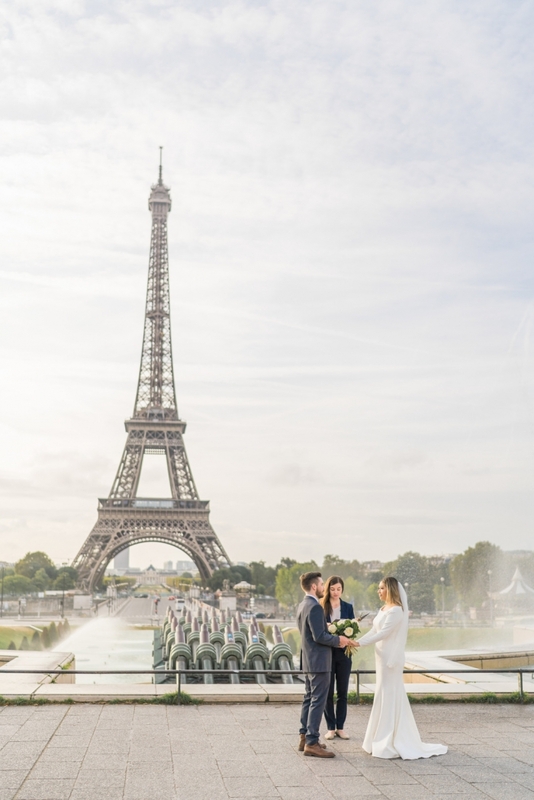 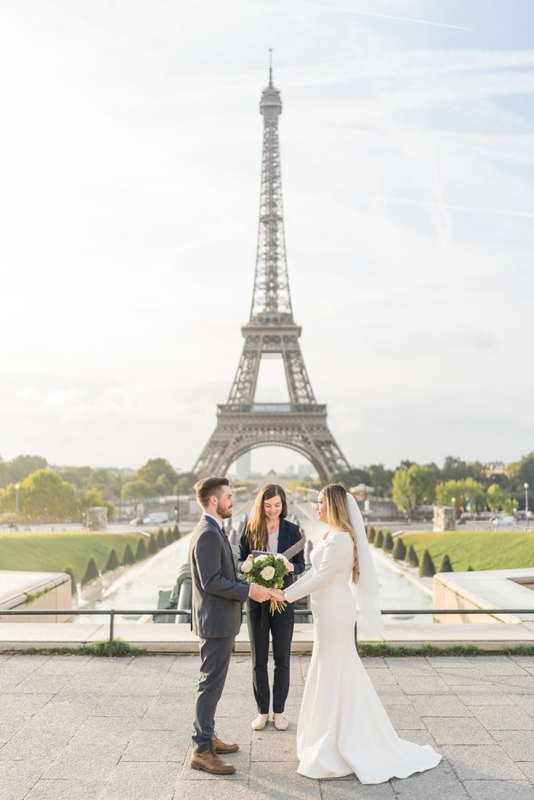 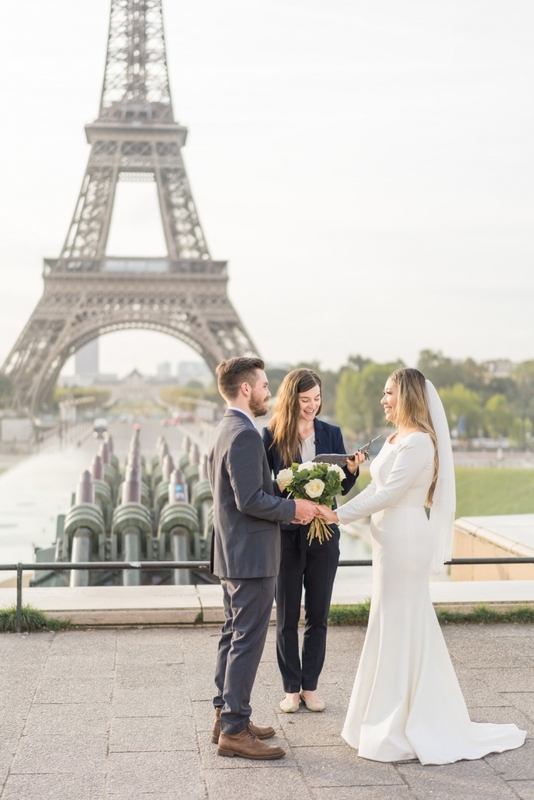 The couple tied the knot just steps away from the Eiffel Tower and needless to say, the photos (by Paris Photographer Pierre) are epic! 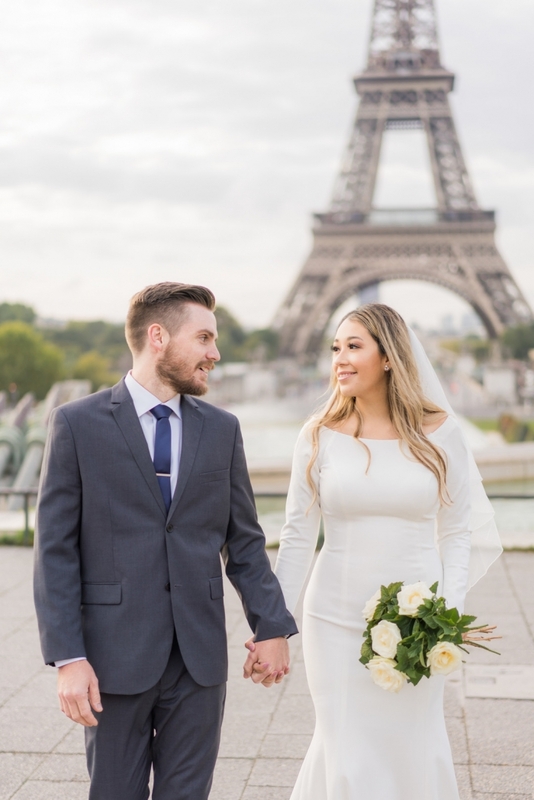 The two made the most of their time in the City of Lights, attending the Paris Summer Jam (as an ode to the fact that the two first met at a music festival!) 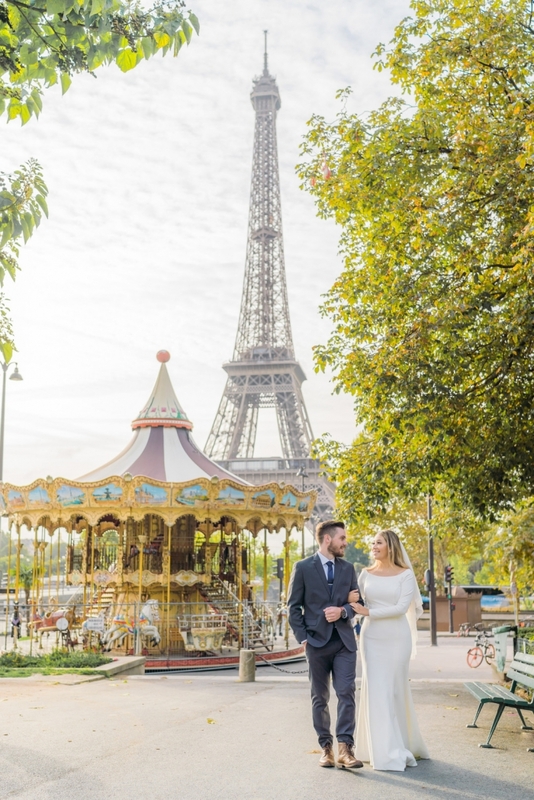 and, since Mike has French heritage, traveling around France to explore the cities that he had always dreamed of visiting. 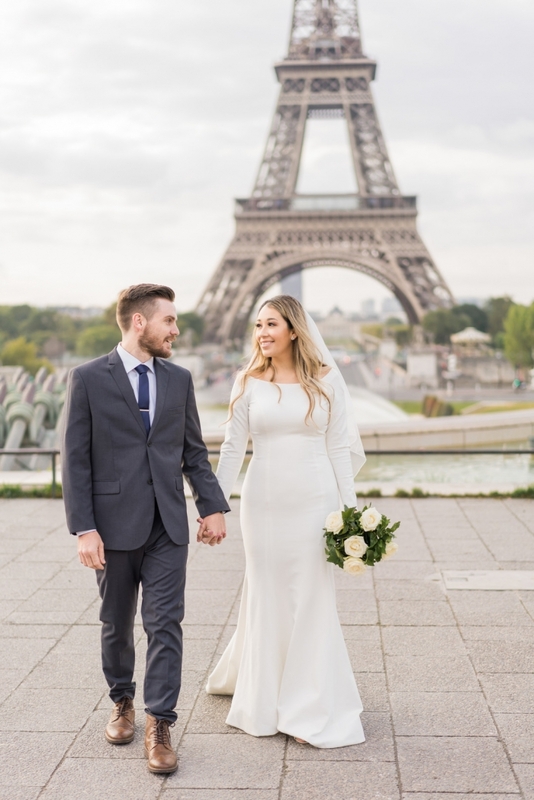 As if that doesn’t sound fabulous enough, after France the couple headed off to Italy, spending their first days as a married couple lounging on the beach and eating pizza and spaghetti. 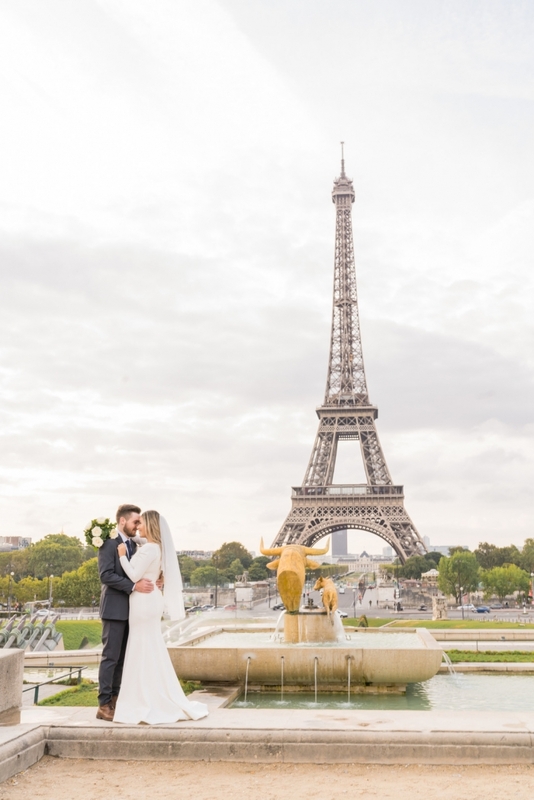 For our wedding we just wanted to be together and enjoy the moment. 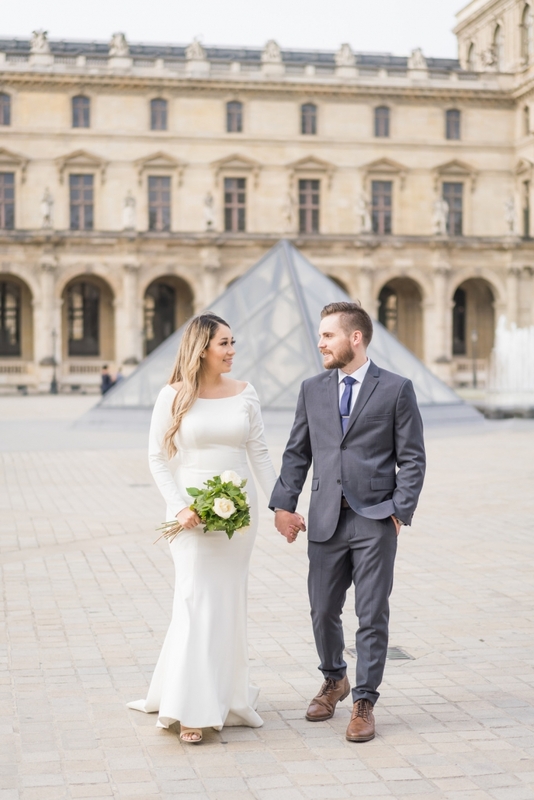 We decided to elope because we didn’t want to get caught up in the stress that comes with a big wedding. 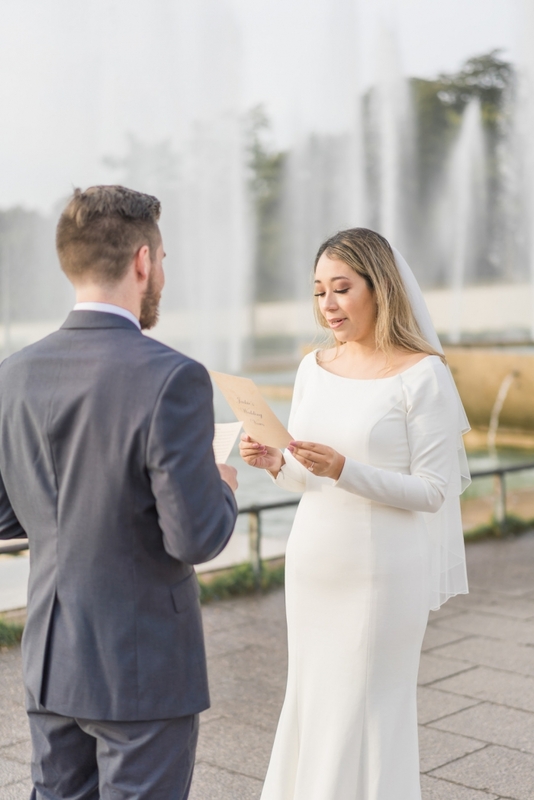 Exchanging our personal wedding vows. 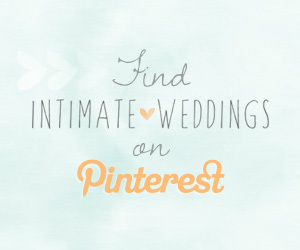 We have always wanted an intimate, low key wedding. 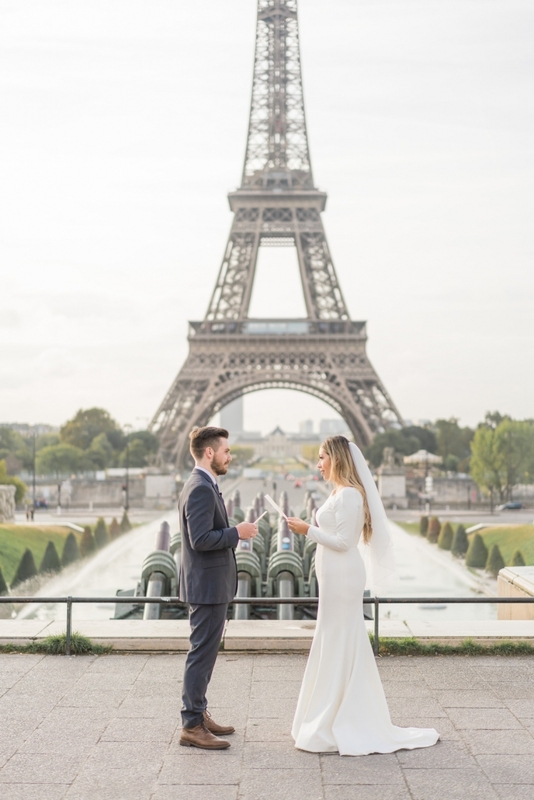 Getting married in France was special for us because we finally got to indulge in Mike’s culture. 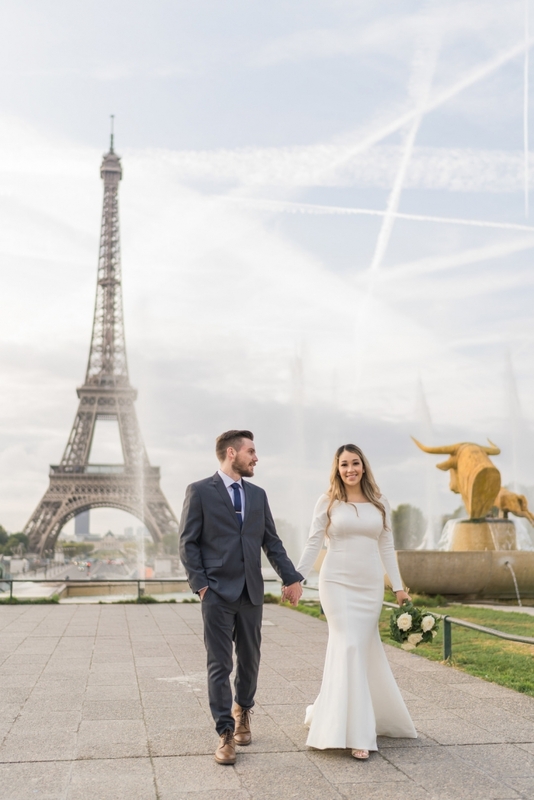 His parents are French, but he has never gotten the opportunity to visit, so this was the perfect time to explore the cities that his mom has always talked about. 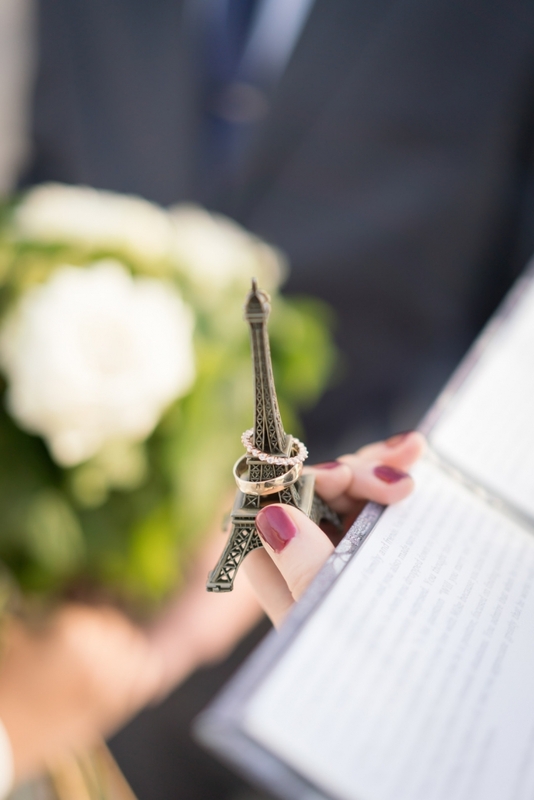 Do not stress about anything, it’s your wedding and your choice! 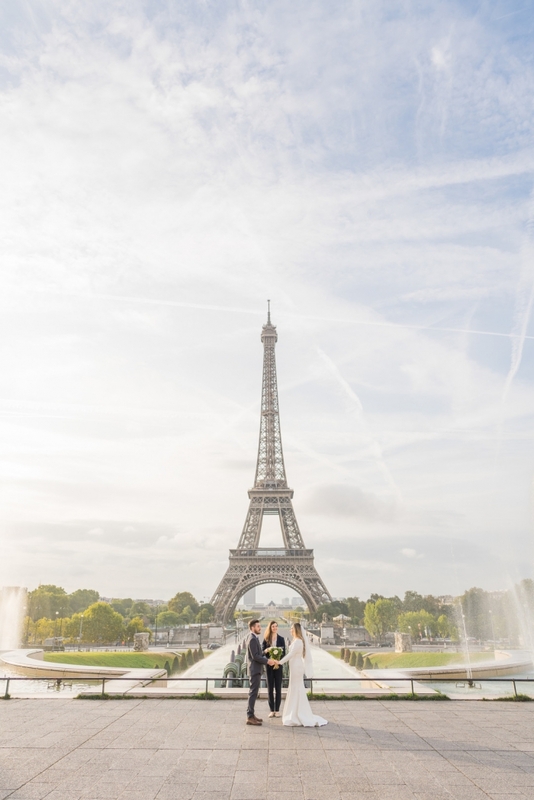 Enjoy the moment because before you know it, the day is over and you don’t want to miss a thing.